Heather began her skin care career 15 years ago, originally completing her education in facial, massage, and make-up artistry techniques. Realizing her career choice and lifelong obsession with skin care had merged, she furthered her education base to include ayurvedic and aroma therapies. While fulfilling a position of spa educator and master aesthetician, she completed nursing school in 2004. As a nurse, Heather has worked in various settings, but found her passion in home health care, where she became adept in wound care and skin healing practices. She has since expanded her education and credentials to include electrology, laser, and light based therapies. In addition, Heather has advanced training in hair removal, microdermabrasion, and chemical peels. She was honored to be recognized and awarded for her accomplishments in the skin care industry at the elite Obagi® Leadership Forum in 2011. Heather continues to further her nursing education and credentials, as well as her skin care and laser education. A native to Palm Beach County, she is relocating from Vero Beach with her three children and enjoys practicing Anusara yoga and stand up paddle boarding in her free time. Dr. Mark R. Murphy prescribes and recommends skin care products from ZO® Skin Health and his own private label that can be used daily or in preparation for surgical procedures. ZO® Skin Health, a comprehensive skin care program, is a natural, safe, and effective way to achieve youthful and healthy-looking skin. Ranging between products and daily regimes, ZO® Skin Health can help everyone create and maintain healthy skin, every day. If your skin has a dull, tired, or uneven appearance, schedule an appointment for a personal evaluation with Heather. She can recommend a treatment plan to provide you with a fresh healthy glow. We offer skincare for prevention and maintenance, helping you preserve your glowing complexion for many years to come. 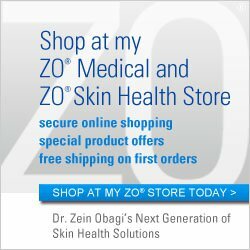 Is ZO® Skin Health Care Right For Me? There are three levels of the ZO® Skin Health program. The first is a daily skin program, the second is an anti-aging program, and the third is an aggressive anti-aging program. An acne prevention and treatment program is also available. Individual products can treat specific trouble areas or impurities. Depending on your skin and needs, an aesthetician can discuss which is right for you.